The Citrus County Sheriff's Office is looking for Barbara Stewart, who was last seen Monday. If you know where she is, please call the Citrus County Sheriff's Office at 352-726-1121. INVERNESS, Fla. — Citrus County Sheriff's deputies are searching for a missing adult with disabilities who has been diagnosed with severe dementia. 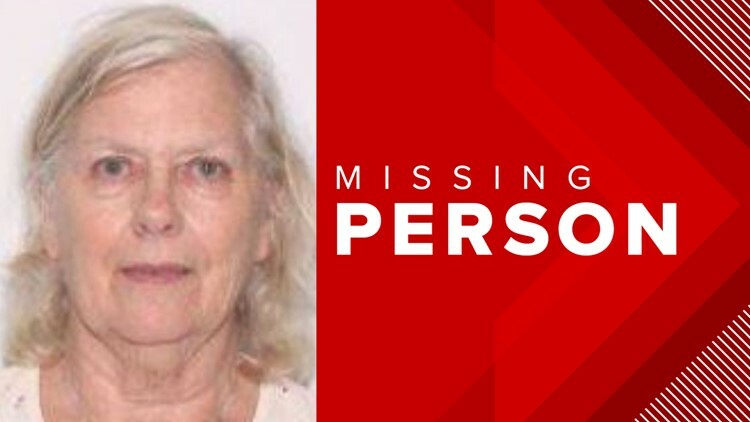 Barbara Stewart, 75, has not been seen since around 10 p.m. on Feb. 11. She is described as a white woman, 5-foot-2 and 150 pounds with white hair and blue eyes. She was last wearing black pants, a pink hoodie, and a white-and-pink purse with flowers on it. She may be wearing glasses. Stewart was last seen in the Inverness area. She was last known to be driving her 2008 red Nissan Sentra with Florida license plate 064PRZ. Authorities believe she may be on her way to Masaryktown, Florida, or Canton, Ohio. If you have seen Stewart or know where she might be, you are urged to call the Citrus County Sheriff’s Office at 352-726-1121.